New Youth. Healthier Skin = Beautiful Skin. Developed by E. Ronald Finger, M.D. 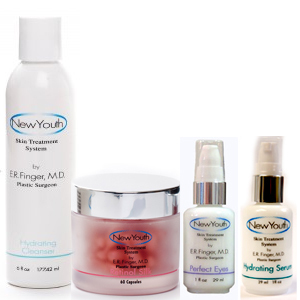 New Youth Skin Care was developed by our board certified Plastic Surgeon Dr. E. Ronald Finger in Savannah Ga, over two decades ago. 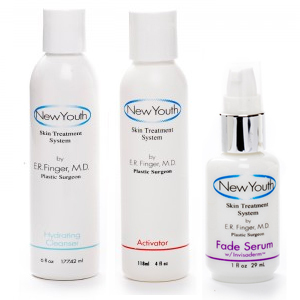 New Youth Skin Care works on reversing skin damage at a cellular level, and unlike many other skin care treatment systems out there our products truly reverse the signs of aging in as little as 4 weeks. Healthy skin cells produce healthy youthful looking skin, which is why Dr. Finger developed uniquely formulated compounds with natural elements, and whole food ingredients to improve overall skin quality. Our New Youth treatment system offers products expressly designed to work together to make your skin more youthful by limiting Glycosylation. Anti-Glycation is important to prevent premature aging of the skin and body. 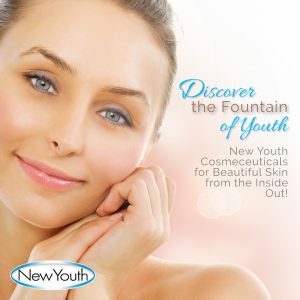 Our office is located in Savannah Georgia and though we offer online shopping for your convenience, we do not offer subscriptions for New Youth Skin Care, and we also do not offer Skin Care trials. 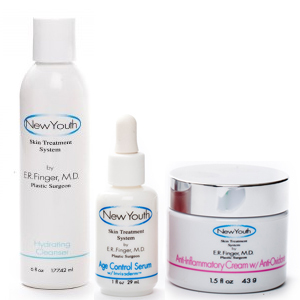 Dr. Finger developed New Youth Skin Care after he discovered that even after performing facelifts and other facial procedures, the skin texture was not improved at all. Dr. Finger decided to find a solution and began to research natural whole food ingredients to help reverse skin damage and repair the skin at a cellular level. 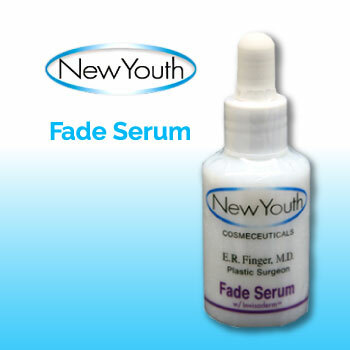 The journey of New Youth Skin Care as we know it began. “A Clinical Strength Skin Care System ” using a holistic approach by Including whole-food ingredients! 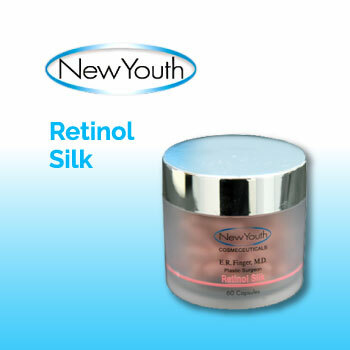 Retinol Silk is a 0.15% retinol in a timed-release, micro sponge delivery system. It is as effective as a prescription strength tretinoin without the irritation. For All Skin Types. Applying New Youth Personal Peel two to three times a week helps clear clogged pores and allows better penetration of other products.
" I have been using New Youth for about 4 or 5 years now. [A] best friend of mine said to me that she just knew I had Botox. She could not believe that I haven’t had anything done! " 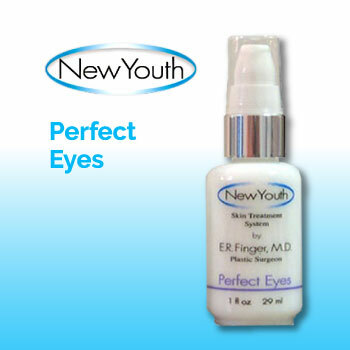 " The facial I received at New Youth Medical Spa was wonderful. The products I have been using for 2 months now have made a difference in the way my skin looks. " " I have been using New Youth products for 1 1/2 months now and friends have noticed that the texture on my cheeks and forehead is much smoother "
*Note: If you are trying to contact us concerning a recent subscription or trial order online, you have reached the wrong business. This site is protected from spam. 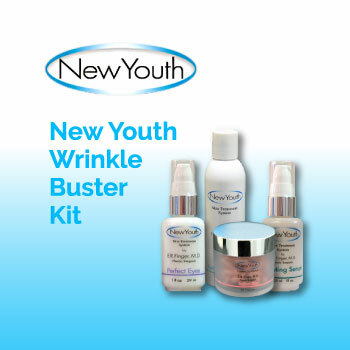 New Youth Skin Care is the property of Americeuticals LLC. Please refer to our terms and conditions at the footer of our site. Do not leave messages or emails about this matter, We are located in Savannah Georgia and offer online shopping in addition to our office location store.